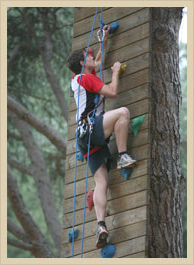 Aventura Amazonia Marbella, is the largest adventure park (ropes course) in Andalusia and the only one right on the coast. 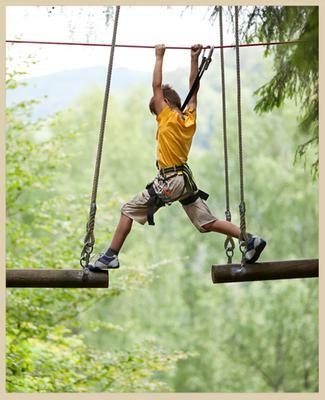 Just 500 meters from the beach, Aventura Amazonia Marbella has a total of 83 challenges in the trees and 20 ziplines distributed over 6 adventure circuits: MiniKids, Kids, Explorador, Jungla, Aventura and Deportivo, and 3 training circuits. 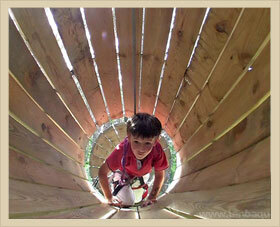 You can also launch yourself on the longest treetop zipline in Andalusia, an amazing 240 meters in length. The MiniKids area offers adventure challenges and a zipline, for kiddies from the age of 4 to 7, and also serves as a creche for parents who want to do the circuits and have nowhere to leave their little ones. Strategically located in the heart of the Costa del Sol, the park is in the area known as Elviria (Marbella), alongside the A7 highway, less than 20 minutes from the main coastal towns. Calle Valeriano Rodriguez, 2. The park can be easily reached by road as it is just near the Elviria exit, at the kilometre point 191 of the A7 highway. Tel: +34 952 835 505 or 625 089 320. Price: Ranges from 16 euro to 24 euro depending on age.